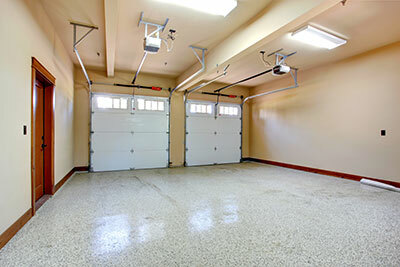 A garage door has a vast impact on the functionality as well as the looks of your house. When you think about it, it’s actually the biggest moving part of your home. Many people use these doors more than the front door. It’s not only a gate for your ride, it improves energy saving, safety as well as the appearance of your home. With something as important as that, you’d want only trained professionals to do the installation, repairs, and maintenance of your garage door. Our company’s technicians are only the most experienced and skilled specialists in the area. As soon as we schedule the arrival at your location, our team will work on the problem whether it’s a broken spring, opener, or any other part of the door! Even if you want a completely new door installed, we’ve got you covered! Make sure to give us a call. We are a company that delivers only the best value. We are proud to be known for fast, skilled, and professional technicians who will provide highest quality garage door service any day, at any location! 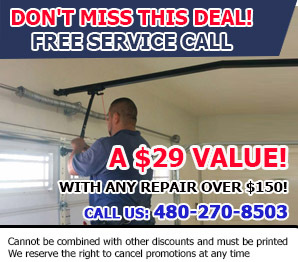 Become yet another of our satisfied customers at Garage Door Repair Mesa! The springs are there to assist the smooth and quick movements. 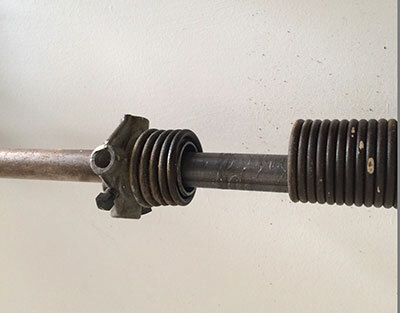 Old, damaged or broken springs are a common problem. Generally, springs have a lifespan of about five years, however, disproportionate use or extreme weather change can reduce the time they are expected to function properly. If you notice that your door moves slower than usual, or not at all, you probably need a new spring. We can replace every major brand, no need to worry about that! You can contact our company now for professional garage door repair services you can count on. We guarantee the highest quality, quick and professional service. Call now!